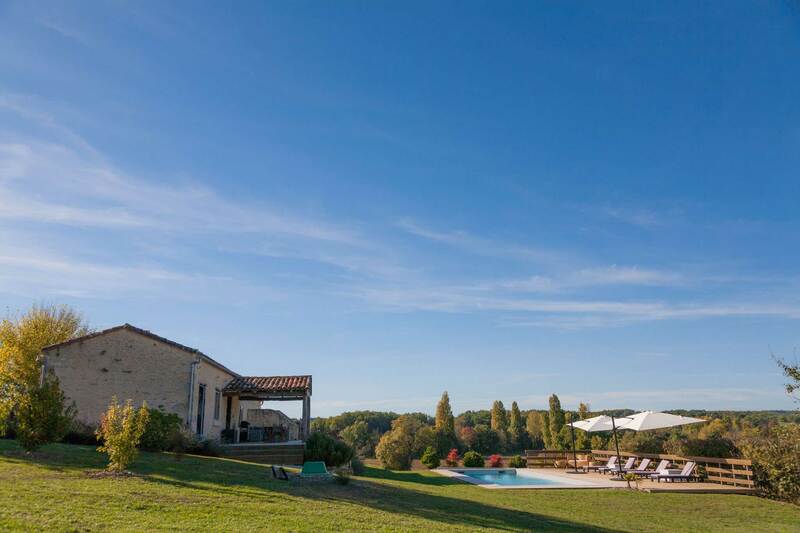 A peacefully located luxury authentic holiday home in a little hamlet of Paulhiac just 5 kms From Monflanquin- designated as one of the most beautiful villages in France. 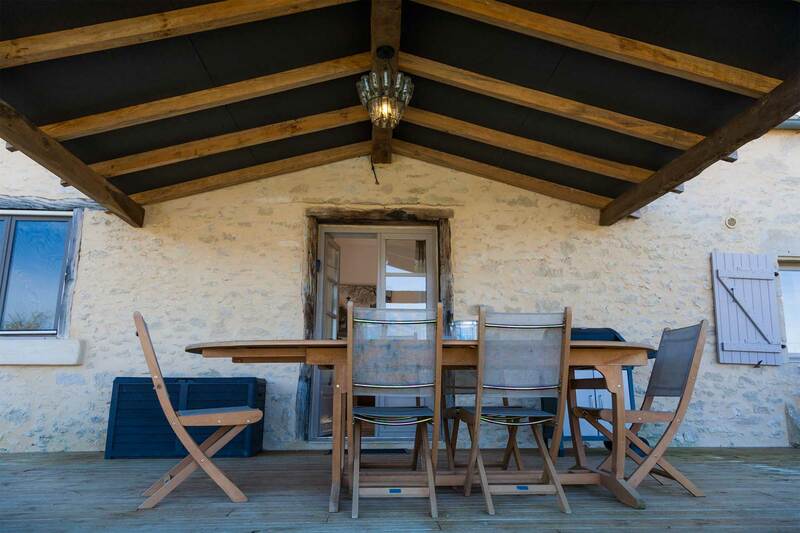 The house is tastefully decorated and equipped with every comfort and lays in the middle of rolling French countryside. 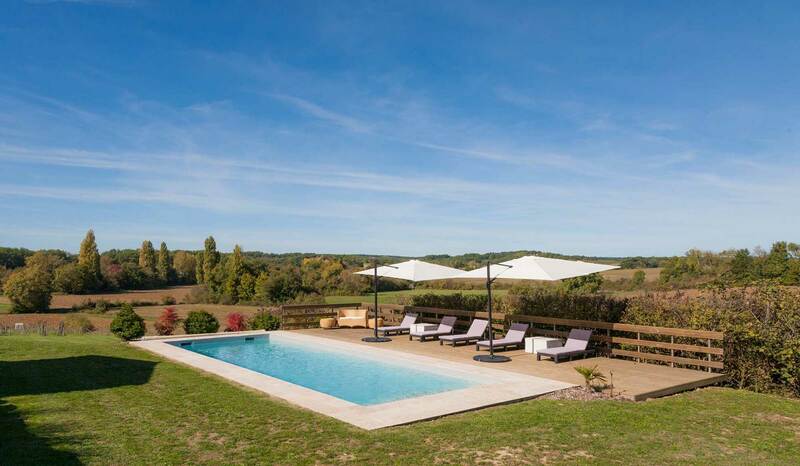 The house is equipped with a lovely swimming pool with sundeck, a five-person Jacuzzi and a private terrace with stunning views over the valley. The house offers you a haven of peace and tranquility where children have space to play freely. A lovely place to relax, pamper yourself and above all to enjoy! both young and old. Monflanquin is a village on a short distance and where you will find everything you need for your supplies. You can spend the day wonderfully relaxing with a book and a glass of wine. Or you can also enjoy the unspoiled countryside on foot, by bicycle or on horseback. A marked bicycle and walking path runs directly from our site. Or, you can also just relax in our Jacuzzi. Of course you can visit one of the cozy, authentic villages or markets in the area for which you can use our 2cv. 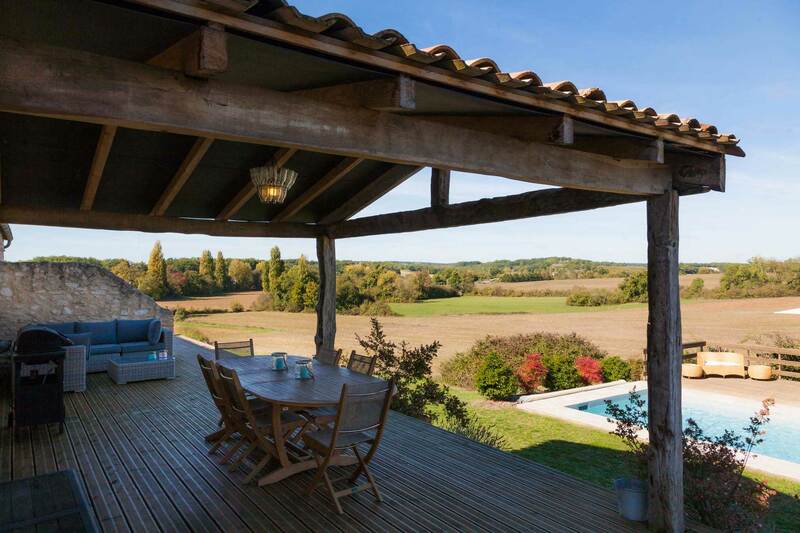 In short, leave the crowds behind and embark on a relaxed holiday where you can enjoy the wonderful French life with friends and family or just as the two of you. 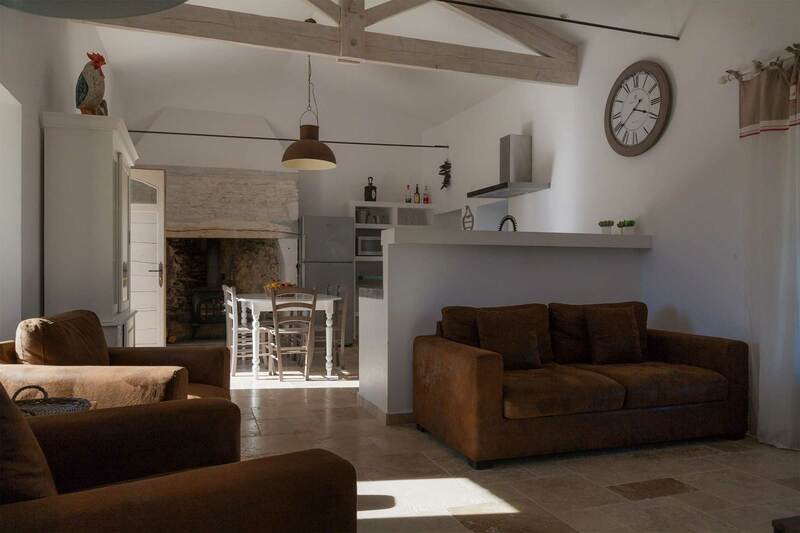 The gite has a SONOS system,WIFI and a smart LED TV so you can access the Internet. Besides the luxury, we find it also important to enjoy a good night's sleep. That is why the cottage is furnished with comfortable beds arranged as a double bed in one room and a bunk bed plus a single bed in the 2nd bedroom. Upon arrival, you will not have to make the beds; we will have already prepared them for you. The bathroom has a lovely shower and you don't need to bring the towels these are included and will be changed for you during your staying. The toilet is separate and is located in the hallway. The open kitchen is fully equipped; large fridge freezer, coffee espresso machine, dishwasher, 5 burner gas hob with extractor hood, Convection oven, microwave and all the tools needed to make the most delicious dishes. An excellent wood burner is located in the chimney for cozy evenings in the pre and post season. Relaxing in the Jacuzzi. 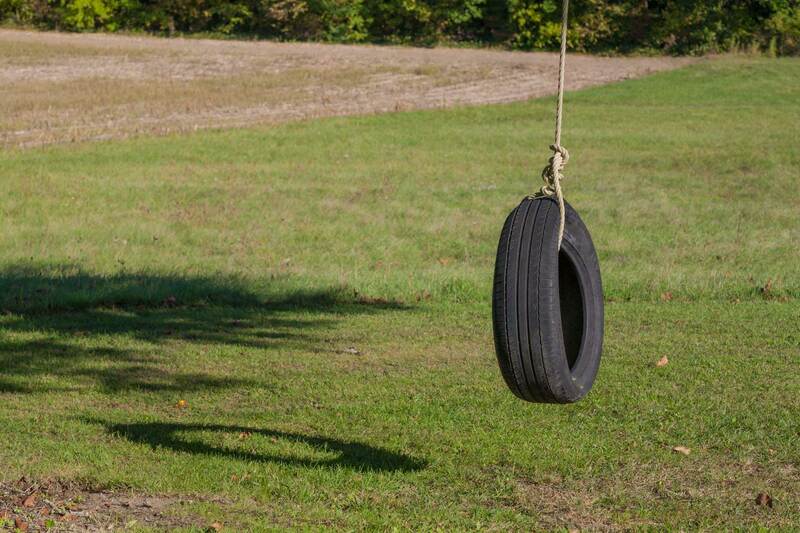 Good for sore muscles and all the stress of everyday life. You will have all the time to enjoy this during your holiday. The Jacuzzi is available all year long. The cottage is non smoking and pets may be alowed depending on the type and shape...just tel us more if you want to bring your pet along. The pool is 12 meters long and 4 meters wide and has one dept of 1m30 . The first step across the width is wide and shallow one so that even the smallest can paddle or just sit and enjoy and see the children playing. Next to the pool is the sun deck with loungers and parasols. For more shade the terrace beside the house is ideal. As this terrace is partly enclosed you can be sure of a dry outside space so that even with a little rain in summer you can enjoy your barbeque. 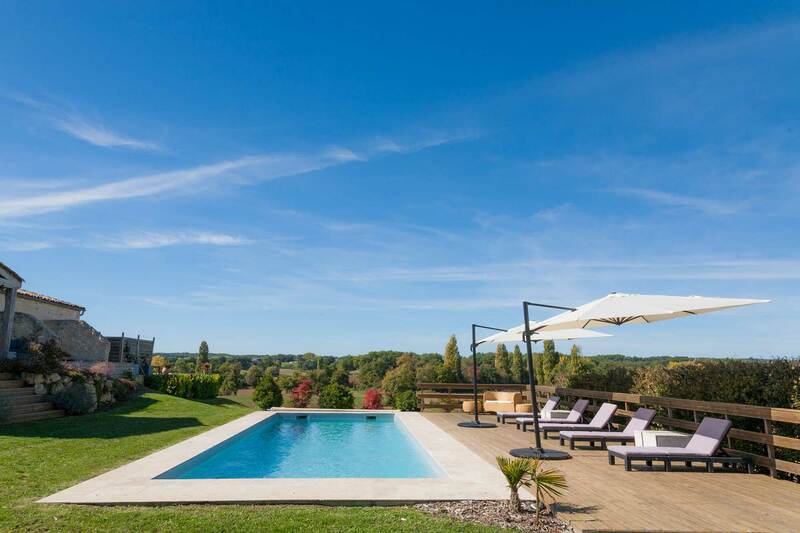 Domaine de Moutou is a fabulous place to enjoy and to find rest, and also for touring being within a short distance of several tourist attractions. The 'Bastide' towns and villages as Monpazier, Villereal, Monflanquin. 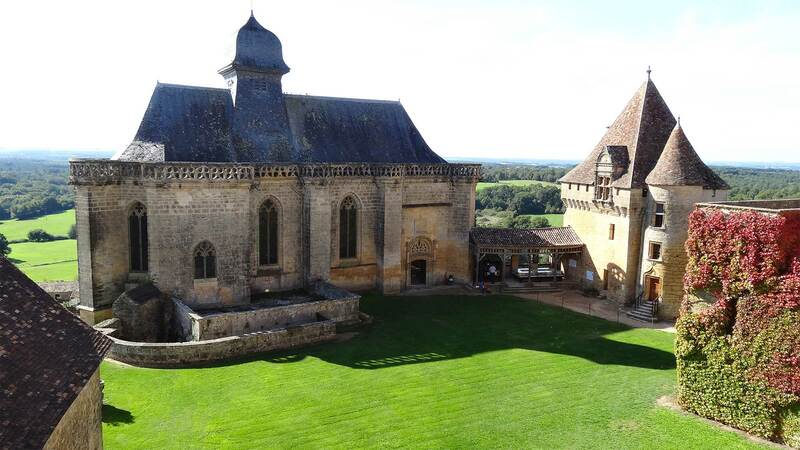 And the centuries old châteaux of Biron, Bonaguil and Chateau les Milandes of Josephine Baker are worth visiting. But let's not forget the wonderful food here! Traditionally, the Dordogne is renowned as the gastronomic center of France. The Foie Gras, truffles and walnut cakes as all famed here. The changeover day is Saturday. Arrival after 16:00, departure before 10:00 this is flexible in the low and pre season, just ask. You can find the general conditions here. Please contact us for any questions or more information about booking dates.